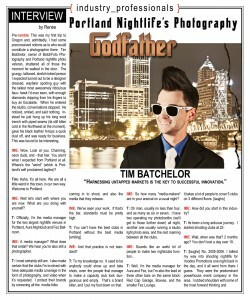 BatchFoto is a full featured, professional photography entity in Portland, Oregon. Our distinctive fusion of vibrant color, stark highlights, and sharp detail creates a style distinguished from the status quo. BatchFoto affiliated photographers have been published in an encompassing array of digital and print media, featured in galleries, and privately collected. Employing some of the most innovative and state of the art digital equipment, BatchFoto‘s event photography is fun, one-of-a-kind, nationally recognized, and sure to be a memorable addition to your next occasion. As an RS Incorporated affiliate and a partner of PartyRawk Productions LLC., we have provided media coverage for some of the finest entertainment productions and international brands. Our photobooths were designed from scratch by us, for us, and cannot be found anywhere else. 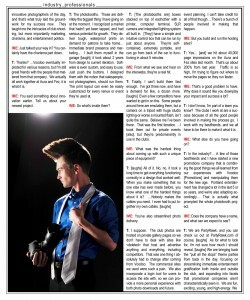 They are in demand coast-to-coast, and were recently featured in In Media and Entertainment Magazine. We offer portfolio development shoots for experienced models and new models alike. Our fully equipped commercial studio boasts a wide variety of backgrounds and the best possible equipment, allowing us to deliver the looks you want with portfolio worthy precision. Off-site sessions are also available. Our staff is friendly and accommodating, and happy to provide any requested insight regarding wardrobe, posing, make up, and set location. Please send us an email with the details of your project and any final product requirements you have, and we’ll be happy to assist you. Additionally, we welcome all opportunities for creative collaboration between team members, clients, and other visual media professionals, so if you have an innovative project idea don’t hesitate to inquire. Whether from a corporate event function, birthday party, photobooth event, or studio session, each and every one of our delivered images is retouched to assure that you standout from the crowd. From comprehensive product or model shoots in our studio, to high school senior pictures, to private social events, our work ethic is detail oriented and client-centric regardless of project size and scope. Large corporations and individuals alike, we are dedicated to providing unique images that deliver results and we are here to serve you. 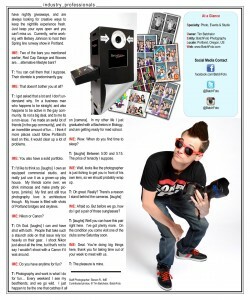 Check out In Media and Entertainment Magazine’s feature about founder Tim Batchelor and our photobooths!